Taylor Sheridan and the cast on the confrontations that helped bring the series' biggest arguments into focus. 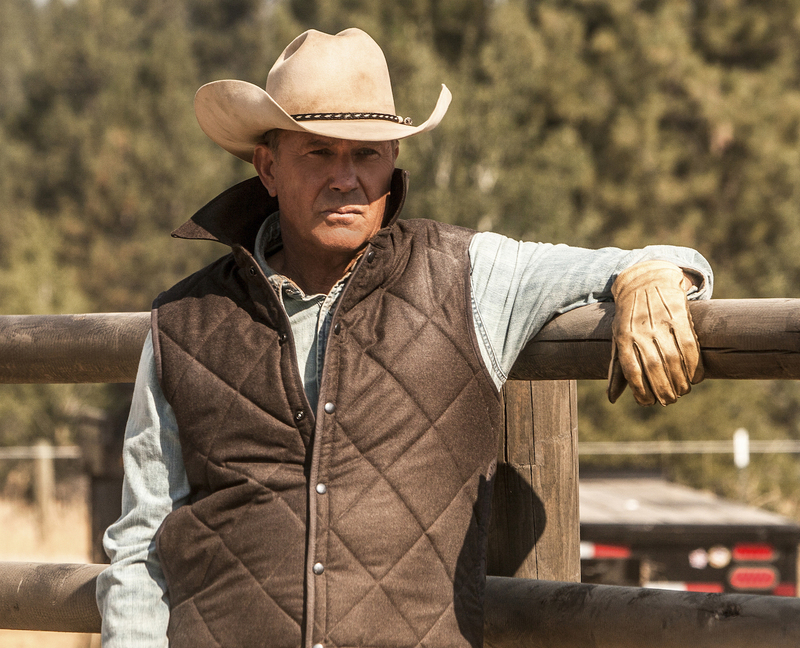 Kevin Costner’s John Dutton is the patriarch of “Yellowstone,” but it took until the third episode of the new Paramount Network series for audiences to get a glimpse of the mother. Introducing Evelyn Dutton (played by Gretchen Mol) via flashback, in the final moments before a fatal riding accident, reframes a lot of what the audience understood about the Dutton family. Series writer/director Taylor Sheridan told IndieWire that picking this specific introduction was a choice made mostly on instinct. Back in the show’s present, the character most shaken by her mother’s death (Beth, played by Kelly Reilly) continues to deal with the psychological ripples of that fateful horseback ride. Much like Beth was plunged into the deep end of adulthood, Reilly’s first experience in character was a surprising plunge itself. More than bathing in an outdoor trough, the specificity of emotions was what presented the biggest challenge, particularly when they came with Sheridan’s specific expectations. One of Episode 3’s centerpiece sequences is Beth and Jamie (Wes Bentley) coming to literal blows. The contentious relationship the two characters show in the opening episodes boils over in the stables as the two get into a substantial fistfight. Someone else who recognized that rage and commitment? Bentley, her scene partner. In case their lingering glares at each other weren’t evidence enough, this altercation leaves plenty of unresolved tension between Beth and Jamie. The other notable showdown in this episode happens went John Dutton confronts Thomas Rainwater (Gil Birmingham) in jail after the latter has been arrested. For Birmingham, the appeal of the scene was using words to illuminate a very specific moral framework for the series. As the title of the series might hint, there’s so much from “Yellowstone” that draws from its natural surroundings. Whether it’s the land issues that form the backdrop of the conflict between John and Thomas or the landscapes that motivate these characters to grab their own part of the horizon, filming in Montana helped to bring out that feeling in not just these performances, but also the actors themselves.